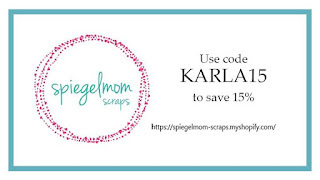 Karla Yungwirth Designs: SpiegelMom Scraps - Masculine Congrats Card! Hello friends! It's the last post of June for the SpiegelMom Scraps blog, and in keeping with our 'Take It Back June' theme I've created a Masculine Retro Congrats Card today! 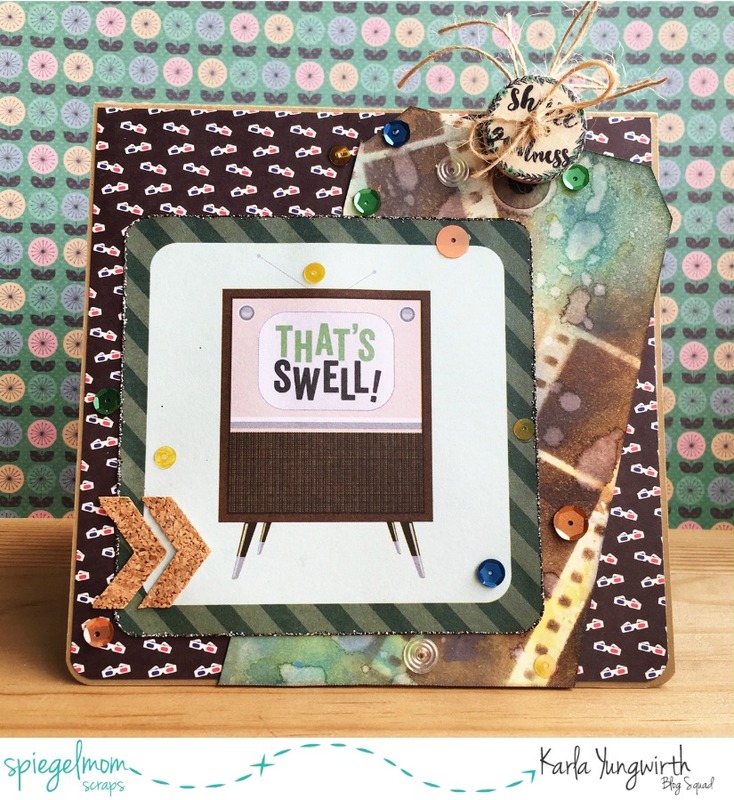 I layered a distressed tag over some cool 3D glasses themed paper from the Your Next Stamp 'For The Boys' 6x6 paper pad and added lots of embellies from the SpiegelMom Scraps shop! Be sure to head over to the SpiegelMom Scraps blog post where you'll find all the fun details and closeups on this card! 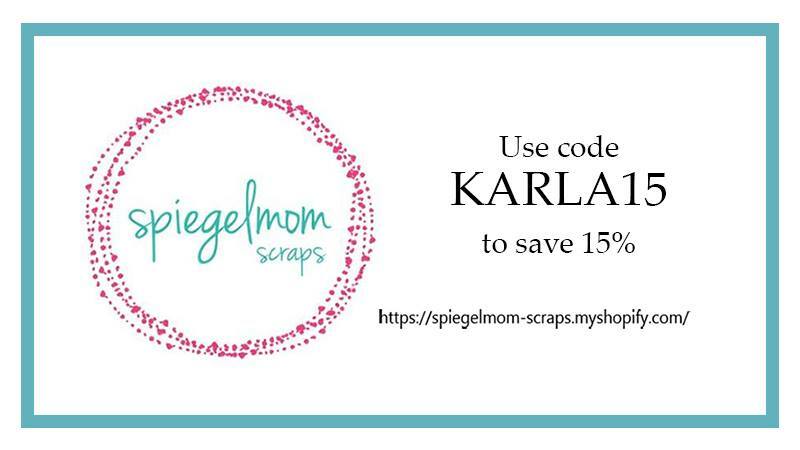 And don't forget to use the code KARLA15 to save 15% off all your purchases at the SMS shop!! Thanks so much for stopping by today! Have a wonderful, happy Thursday! Very pretty! I love the way you placed the tag thre between layers. Great colors too. 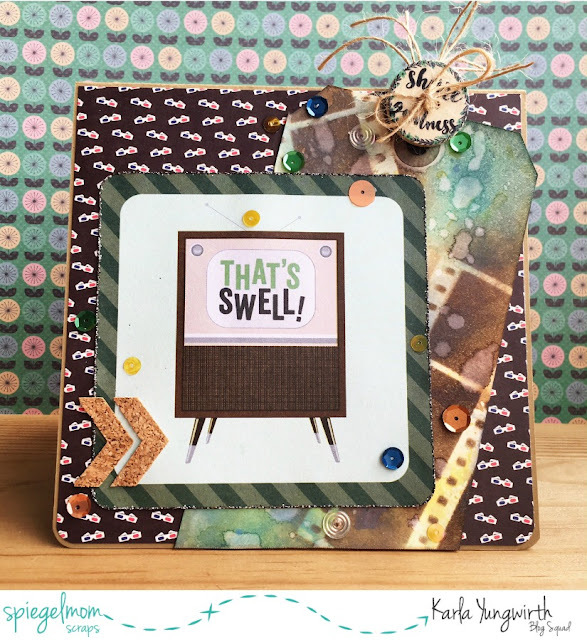 Thank you for Stenciling with Simon Says Stamp Monday Challenge!